Ramapo College of New Jersey launched a Strategic Plan for Comprehensive Internationalization beginning in Fall 2015. In addition to specific targets within the plan, each academic year will also have a specific region of focus. Through these regional foci, our goal is to increase global awareness and the multitude of opportunities and initiatives the College is involved. Below, you will find specific details about some of these initiatives, plus an extensive calendar of events. The 2018-2019 focus area for International Education is Asia/Pacific. The Office of the Provost provided funding for up to 10 travel grants with up to $2,500 per grant for full-time faculty. Grants were funded relating to scholarship, teaching and learning, or service/civic engagement with a content focus on Asia/Pacific. Expected impact of the proposed project on the applicant’s research or scholarly output (for example but not limited to publications, conference presentations, grant applications, performances or exhibitions, exploratory research visit in order to develop a more in-depth research project in Asia to result in a submission of an external grant proposal, …). Expected impact of the proposed project on the applicant’s teaching (for example but not limited to revision of courses, seminars, …). Expected benefit of the proposed project for students at Ramapo College and/or Ramapo College in general. Evidence how the proposed project is linked to, is built on, and/or will expand the applicant’s professional expertise. B. Travel Request form including the agenda or program information of the event you would like to attend. The travel request must be approved by the Director of International Education (Ben Levy). Please note that we cannot consider incomplete or late applications. All activities related to the grant must be completed by June 30, 2019. An end of the year reception will be held in April 2019 at which awardees will report on their project. A final report to the unit or convening group, the Dean, and the Provost must be submitted by September 1, 2019. Center for International Education and the Director can help coordinate this for you. Study the intersection of western and traditional medicine in practice, policy, and community health. Sponsored by SIT Study Abroad. The George T. Potter Library will be hosting a book club with a focus on the Asia & Pacific region. 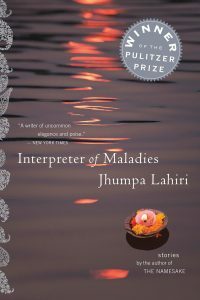 Description: Navigating between the Indian traditions they’ve inherited and the baffling new world, the characters in Jhumpa Lahiri’s elegant, touching stories seek love beyond the barriers of culture and generations. In “A Temporary Matter,” published in The New Yorker, a young Indian-American couple faces the heartbreak of a stillborn birth while their Boston neighborhood copes with a nightly blackout. In the title story, an interpreter guides an American family through the India of their ancestors and hears an astonishing confession. Lahiri writes with deft cultural insight reminiscent of Anita Desai and a nuanced depth that recalls Mavis Gallant. She is an important and powerful new voice. Winner of the 2000 Pulitzer Price in Fiction. The first 30 students to sign up at the Potter Library Circulation Desk will receive a free copy of the novel. Contact Sam Wittenberg (switten1@ramapo.edu) and Katie Cohen (kcohen1@ramapo.edu) to join and for additional information. Refreshments will be served. Hosted by the George T. Potter Library; Sponsored by the Roukema Center for International Education. Description: Now that Materena is a big star with her radio talk show, Pito can’t help noticing some changes in his wife. She’s spending more and more time at work and with her girlfriends instead of coming home to cook for him. And why does a Tahitian woman need to know how to drive, anyway? He tries to shrug it off, but when Materena gives him the silent treatment and doesn’t come home after a night of dancing, Pito has had enough! How is he supposed to fix things with Materena when she doesn’t even give him a chance? Luckily for Pito, his opportunity comes when a threemonth-old girl named Tiare–rumored to be their son Tomatoa’s daughter–is left on the Mahis’ doorstep. Anxious to pull his weight and set things right, Pito embarks on a hilarious and noble mission to prove himself to his granddaughter, his wife, and–most importantly–himself. 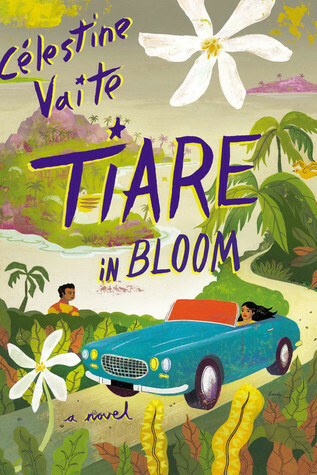 TIARE IN BLOOM is the heartwarming story of a couple facing big changes on a small island–and a love that outlasts it all. [Birch Tree Inn] Check off your foodie bucket list and try the best street food from all over the globe. Call 201-684-7105 for information. Australia Day is the official national day of Australia. Celebrated annually on 26 January, it marks the anniversary of the 1788 arrival of the First Fleet of British ships at Port Jackson, New South Wales and the raising of the Flag of Great Britain at Sydney Cove by Governor Arthur Phillip. In present-day Australia, celebrations reflect the diverse society and landscape of the nation and are marked by community and family events, reflections on Australian history, official community awards and citizenship ceremonies welcoming new members of the Australian community. The meaning and significance of Australia Day has evolved over time. Unofficially, or historically, the date has also been variously named “Anniversary Day”, “Foundation Day”, and “ANA Day”. 26 January 1788 marked the proclamation of British sovereignty over the eastern seaboard of Australia (then known as New Holland). Although it was not known as Australia Day until over a century later, records of celebrations on 26 January date back to 1808, with the first official celebration of the formation of New South Wales held in 1818. On New Year’s Day 1901, the British colonies of Australia formed a federation, marking the birth of modern Australia. A national day of unity and celebration was looked for. It was not until 1935 that all Australian states and territories adopted use of the term “Australia Day” to mark the date, and not until 1994 that the date was consistently marked by a public holiday on that day by all states and territories. In contemporary Australia, the holiday is marked by the presentation of the Australian of the Year Awards on Australia Day Eve, announcement of the Australia Day Honours list and addresses from the Governor-General and the Prime Minister. It is an official public holiday in every state and territory. With community festivals, concerts and citizenship ceremonies, the day is celebrated in large and small communities and cities around the nation. Australia Day has become the biggest annual civic event in Australia. Some Indigenous Australian events are now included. However, since at least 1938, the date of Australia Day has also been marked by Indigenous Australians, and those sympathetic to their cause, mourning what they see as the invasion of their land by Europeans and protesting its celebration as a national holiday. These groups sometimes refer to 26 January as “Invasion Day” or “Survival Day” and advocate that the date should be changed. However, support for changing the date amongst the Australian population is low, with a 2017 poll conducted for The Guardian finding only 15% of the total population supports changing the date. Would you like to practice your Japanese language skill? The Roukema Center for International Education offers Japanese Language Happy Hour every Wednesday from 1-2pm in ASB-123. All levels are welcome. Come join us! Celebrates the Independence of Nauru, 31 January 1968. This national day is celebrated by the government, organizing games and choral competitions for the various government departments and instrumentalities. Also, there is a banquet held for the young at hearts. Would you like to practice your Chinese language skills? Chinese Language Hours are offered every Thursday from 2-4 pm in B-127, World Language Lab. All levels are welcome. Come join us! Waitangi Day is the national day of New Zealand, and commemorates the signing, on 6 February 1840, of the Treaty of Waitangi. Ceremonies take place at Waitangi, Northland to commemorate the signing of the treaty, which is regarded as New Zealand’s founding document. The day is observed annually and is designated a public holiday, unless 6 February falls on a Saturday or Sunday, when the Monday that immediately follows becomes the public holiday. [Sharp Theater] Award-winning, internationally acclaimed, multi-media theater artist, PING CHONG, will be on campus to give a talk on his life and work. Pings was recognized with a national medal of arts ‘for his contributions as a theater director, choreographer, and video installation artist whose innovative performances explore race, history, technology, and art to challenge our understanding of humanity in the modern world.” Sponsored by the Walk Santner Speaker Series and the RCNJ Theater Department. Almost all business organizations pursue sustainability. In this pursuit businesses have begin to realize that contribution to the environment that they operate in creates a positive environment for them. Understanding of the local landscapes becomes an integral part of the planning process. The rise of the emerging economies like India has forced businesses to rethink their strategy. Instead of top-down, development, more discussions now focus on providing goods and services profitably to the base of the economic pyramid (BOP) which affected a majority of the population. The talk will focus on transformations that need to be undertaken by traditional businesses to cater to this audience in India. This talk will also discuss some innovations and also touch areas that remain unexplored. For questions, please contact Nikhil Varma (nvarma@ramapo.edu). The Isra and Mi’raj (Arabic: الإسراء والمعراج‎, al-’Isrā’ wal-Mi‘rāj) are the two parts of a Night Journey that, according to Islam, Muhammad took during a single night around the year 621 CE. It has been described as both a physical and spiritual journey. A brief sketch of the story is in surah al-Isra of the Quran, and other details come from the hadith, which are collections of the reports, teachings, deeds and sayings of Muhammad. In the Isra’, Muhammad traveled on the steed Buraq to “the farthest mosque”. Traditionally, later Muslims identified the mosque as a location in the physical world, the Al-Aqsa Mosque in Jerusalem. At the mosque, Muhammad led other prophets in prayer. He then ascended to the heavens in the Mi‘raj. The remembrance of this journey is one of the most significant events in the Islamic calendar. The festival of Holi is celebrated on the day after the full moon in early March every year. The day before Holi is known as Holi Dahan and can be a holiday in some states. Today it is better known as a symbolic commemoration of a legend from Hindu Mythology. The story is that there was once a king who resented his son, Prince Prahlada, worshipping Lord Vishnu. He tries to murder the prince on several occasions but fails each time. Finally, the king’s sister Holika who is said to be immune to burning, sits with the boy inside a fire. However, the prince emerges unhurt, while his aunt burns in the fire and dies. Holi remembers this event, and huge bonfires are burnt on the eve of Holi as a symbolic representation. The festival is also associated with the eternal love of Krishna and Radha, and hence, Holi is spread over 16 days in Vrindavan as well as Mathura – the two cities with which Lord Krishna shared a deep affiliation. Holi is marked by colourful parades accompanied by folk songs, dances and a general sense of relaxed fun. The tradition of throwing brightly coloured powder and water is said to come from the love story between two Hindu gods, Radha and Krishna. Krishna is famously depicted as having bright blue skin and the legend has it that he was sad he didn’t have a fair complexion like Radha. He told his mother about this and she suggested that instead of wishing for fair skin, he should instead smear Radha with paint, so they both have coloured skin; hence the tradition of trying to ‘colour’ others as a sign of affection at Holi. In 2018, Assam, Jharkhand, Odisha, Rajasthan, Uttar Pradesh, West Bengal celebrate Doljatra. Also known as Dola Purnima, Dolyatra or Dol-Jatra, it is essentially the same festival as Holi, but has added emphasis as it is the last festival of the Bengali year. During the festival, people are heard saying ‘Bura na mano, Holi hai!’ which means ‘do not mind, it’s Holi’, which acts as a way of avoiding any responsibility for any pranks played on Holi. [J.Lee’s] Come and taste all different kinds of snacks from Asia. There are sweet and savory snacks, and plenty to choose from. Email nchangra@ramapo.edu for information. [Friends Hall (SC-219)] Join the Office of Equity, Diversity, Inclusion, and Compliance for the Opening Proclamation of Asian Pacific Islander Month on Monday, April 1 at 1 p.m. in Friends Hall. We will announce the theme of the month and watch a performance. All are welcome. Sponsored by the Office of Equity, Diversity, Inclusion, and Compliance. Email gabbybok@gmail.com for information. Stan Thekaekara, Visiting Schomburg Scholars, will speak about their transformative work with Adivasi (Aboriginal) Tribes in Rural South India, and the amazing results of their thirty years of dedicated place-based community organizing. They have worked tirelessly to empower the Adivasis in the areas of land tenure, children’s education and health care. Come marvel at their amazing stories of radical change as they describe three decades of grassroots community organizing toward social justice and self-reliance. ISO invites you to our biggest event of this semester “Music Fest” organized along with WRPR, Computer and Technology Club, CPB and Music Club. International Students from Nepal, Japan, and the UK will be showcasing their musical talents. There will be a total of eight musical performances including Nepali, Portuguese and English songs, Beatbox, along with Freestyle and Bulgarian folklore dance. So, come along to engage yourself in our music and cheer your talented friends. We have food from Sonny and Tony’s and Amazon gift card prizes. Also, attendees are encouraged to be in their traditional attires to make the event more vibrant. Entry is free. We will also be accepting donations (optional) for food and supply drive for Enactus project “Strengthen our Sisters” during the event. Join the Global Indian Culture and Media Course for an off-campus trip to Jackson Heights (NYC) on Saturday, April 6, leaving Ramapo College campus at 10 a.m. Once there students will conduct a scavenger hunt, gaining exposure to the everyday lives of the South Asian diaspora. This exposure will culminate in the students enjoying a buffet meal at a local restaurant when there will be some debriefing and discussion on their observations and questions. Sponsored by the Office of Equity, Diversity, Inclusion, and Compliance. [Friends Hall] The Culture Club and Psi Sigma Phi Multicultural Fraternity, Inc., invite students, faculty, staff and retirees to a presentation on.”In the Heart of Asia: Taiwan’s Culture and History” by Lien-Fang Ho, adjunct professor of information technology. The event will be on Monday, April 15 in Friends Hall at 1 p.m. Food and refreshments will be served. For more information, contact William Hooper, Culture Club president at whooper@ramapo.edu. Sponsored by the Office of Equity, Diversity, Inclusion and Compliance. [SC-219] Come meet, greet and eat with South Asian Faculty, Staff and Students. Meet, greet, and eat with our Asian faculty and staff. [AC-202, Adler Center Conference Room] Would you like to practice your Hindi language skills? The Roukema Center for International Education offers Hindi Language Happy Hour every Tuesday from 1-2pm. All levels are welcome. Come join us!For more information, please email goabroad@ramapo.edu or call ext. 7533. [PAV 1]. Come celebrate the year’s activities in the Asia-Pacific region. For more details or to help with event planning, please contact international@ramapo.edu, call x7533 or stop by ASB-123. Anzac Day (/ˈænzæk/) is a national day of remembrance in Australia and New Zealand that broadly commemorates all Australians and New Zealanders “who served and died in all wars, conflicts, and peacekeeping operations” and “the contribution and suffering of all those who have served”. Observed on 25 April each year, Anzac Day was originally devised to honour the members of the Australian and New Zealand Army Corps (ANZAC) who fought at Gallipoli against the Ottoman Empire during World War I. Anzac Day is also observed in the Cook Islands, Niue, Pitcairn Islands, and Tonga, and previously was a national holiday in Papua New Guinea and Samoa. Reunification Day (Vietnamese: Ngày Thống nhất), Victory Day (Ngày Chiến thắng) or Liberation Day (Ngày Giải phóng or Ngày Giải phóng miền Nam) or the official name of Day of liberating the South for national reunification (Giải phóng miền Nam, thống nhất đất nước) is a public holiday in Vietnam that marks the event when Việt Cộng and North Vietnamese troops captured Saigon (now Ho Chi Minh City) on April 30, 1975. This signalled the end of the Vietnam War, known in Vietnamese as Chiến tranh Việt Nam (Vietnam War) or Kháng chiến chống Mỹ cứu nước (“Resistance War Against American invasion”). It was the start of the transition period toward reunification, which occurred in the national election for national reunification on July 2, 1976, when the Provisional Revolutionary Government of the Republic of South Vietnam and Democratic Republic of Vietnam merged, forming the modern-day Socialist Republic of Vietnam. The anniversary is marked by several festivals around the date. In the Overseas Vietnamese community, the day is remembered as the “Fall of Saigon”, “Black April” (Tháng Tư Đen), “National Day of Shame” (Ngày Quốc Nhục) or “National Day of Resentment” (Ngày Quốc Hận). This is a commemorative day for exiled Vietnamese who served, were affected, and displaced in those overseas communities, and as such is a day of reflection. Many Americans of multiple ethnicities observe the day for remembrance and solidarity. In South Korea, every May 5th is designated as Children’s Day. This is a day on which children of all ages are valued, entertained, and taught a sense of national pride. For more information, please contact the Roukema Center for International Education in ASB-123, by calling x7533 or e-mailing international@ramapo.edu.